Thanks to their ridiculous casts and even more ridiculous stories, the Expendables films have made a ludicrous amount of money. That means, of course, that producers want to keep making them, but if they do, they'll have to find a replacement for Sylvester Stallone, who has just ducked out of the series. 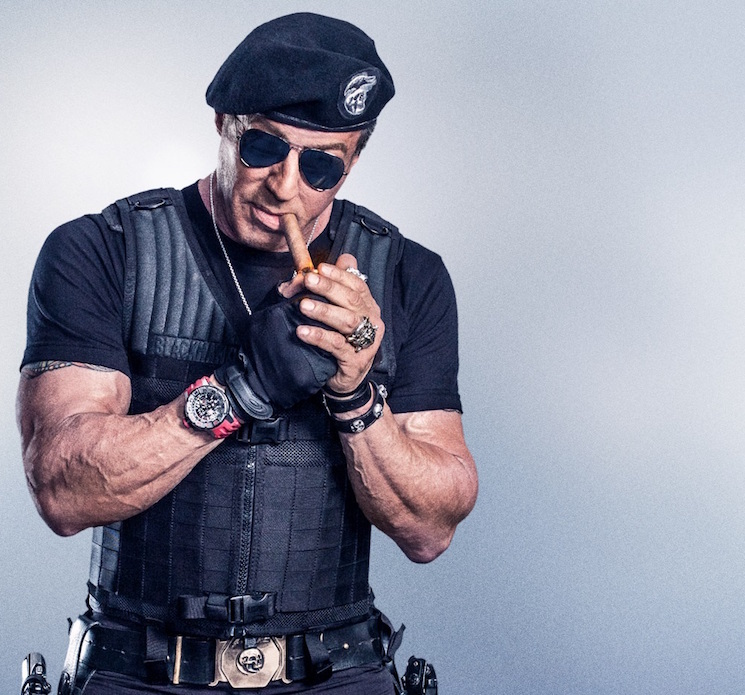 As Deadline reports, Stallone was just offered $20 million USD to make The Expendables 4. Rather than take that cheque straight to the bank for the biggest upfront payday of his career, Stallone instead decided he didn't want to revisit the role. Why did he turn down that massive pile of cash? Because Sly has creative integrity, of course. Sources told Deadline that the actor had been butting heads with Nu Image/Millennium boss Avi Lerner on finding the right script and director for the new film. Turns out Stallone wanted a say in everything, all the way down to which CGI company they used for the sequel. It makes sense — the actor wrote and directed the first Expendables movie and co-wrote both of its sequels. Now we'll have to wait and see if they go ahead on production without Stallone. Hell, the first Expendables movie already came out seven years ago — maybe it's time to reboot the franchise.